Are you looking for the perfect tool to help you not only diagnosis your vehicle, but also program new functionalities? If these two things match your search criteria, I would suggest having a look at the Autel Maxidas DS808. Of course, there are multiple bi-directional scan tools on the market that may meet these criteria. However, this review is to help you decide for yourself if the Autel Maxidas DS808 is the professional tool you are looking for. 3 Why this Autel Maxidas ds808 honest review? The Autel Maxidas is an upgraded version of the previous Autel Maxidas DS708. This advanced automotive scanner is not only equipped with OBD2 testing but also loaded with special features. 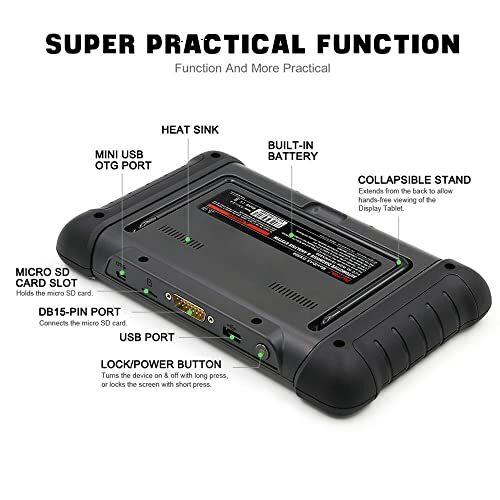 Beyond just am OBD2 scanner, this professional tool comes with bi-directional functionality to take a deeper look into your engine. Why this Autel Maxidas ds808 honest review? Finding the perfect scan tool can be a difficult task. Lucky for you, we have a team of experts to do the research for you as to what makes the Autel Maxidas DS808 so great. Our focus is on the facts so you can have a clear picture of the scan tool before purchase. Users of the DS808 have said this is their favorite product so far, that it has saved them over $300 a year. 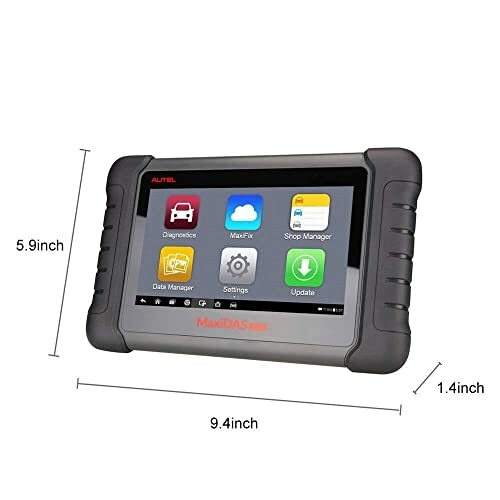 But don’t just take their word for it, have a look for yourself at the advanced features and functions that come with the Autel Maxidas DS808. The DS808 is built with a fast quad-core processor and a 7-inch touchscreen to ensure that your car diagnostics is fast and reliable. Beyond the screen, this professional device can perform complete tests for all systems. In simple terms, that means all 4 systems for diagnostics, plus body, chassis, powertrain, communication, and others. Of course, you want to make sure your device can read and erase trouble codes, which is possible with the DS808. DS808 can access all the modules and offers full bi-directional testing. Other basic functions include quick VIN reading to identify your vehicle, all code compatibility, live data, active testing, ECU information and more. 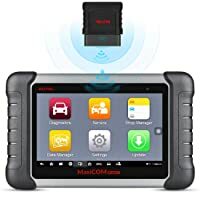 Additionally, this device includes adaption functionality which means the user can do ECU coding, TPMS programming, or even program new keys. Oil Reset: When your car has maxed out itś miles, you can use this tool to reset the oil light after a change. TPMS Programming: After you replace the tires, use this tool to reset the TPMS and reprogram the new tires. EPB Service: This means you can activate/deactivate the brake systems, or reset key features after the brake pads are changed. SAS: This setting can help configure the steering angle sensor to get everything moving forward in the right direction. DPF: for Diesel engines, this feature will help clear the Diesel particulate filter to prevent blockage. ABS/SRS: Perform bidirectional tests on both ABS and SRS systems to ensure the safety features of your vehicle are working to their highest performance. Upgraded Version of DS708 and Same as MS906. Plus, the expert systems don’t just finish there. More amazing features that make this tool unique is the customizable settings that allow the user to program different setting within the interior of the car. That means the user has the option to comfortably change the windows, doors, roof or seats within their vehicle to really make their car unique. Moreover, the additional tech support from the MaxiFix online community means that each user is equipped with online repair help. 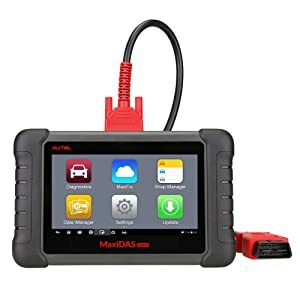 Each Maxidas DS808 has instant remote control access to the Autel technical support in order to receive first-hand advice or repairs, bugs, and errors. Essentially, with the purchase of this smart device, you also get a full online community to be you with each repair need. 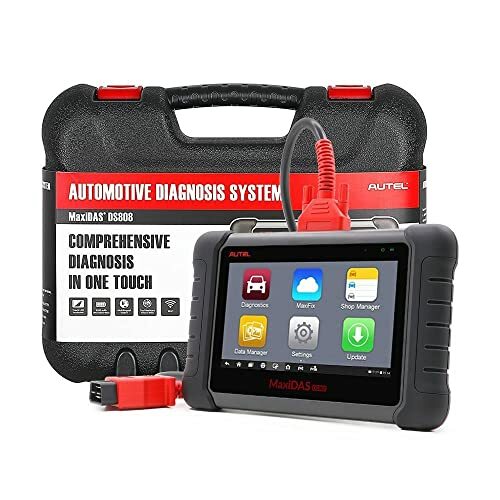 The Autel Maxidas DS808 is equipped to work with over 80 different US, Asian and Europeans vehicles. For US vehicles made by GM, Ford, and Chrysler, this device is super compatible. All other European models such as BMW, Audi, Mercedes, Volvo, VW and more, the DS808 can perform for all your diagnostic needs. Additionally, for Asian vehicles Suzuki, Kia, Toyota, Honda, Skoda and more, you can expect full coverage with this scan tool. Autel Ds808 is a Wi-Fi android OS tablet scanner. Fast Response time: This tool is built with a quad-core processor, that means no more lag! Compact: If you want a professional-grade tool without the bulky size, this tool is easy to carry. Saves you time and money: For a mid-range price, this tool keeps money in your pocket. Advanced features: Do all the things your mechanic would charge you for with the DS808. Bi-Directional Technology: You will have access to vehicle reset options not available with other tools. Chinese Counterfeit products: Beware of the manufacturer when purchasing, some users had difficulties with their device. 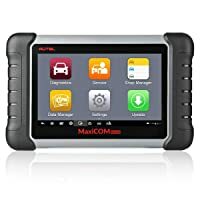 The Autel Maxidas DS808 is a professional automotive scan tool that is built for professional mechanics. This device has a user-friendly interface, so if you are a car enthusiast who wants to take your skills up a notch, this could also be for you. Although the price may seem high, this is a mid-range priced tool in comparison to other professional devices. If you want a bi-directional, professional car scanner that doesn’t break the bank, look no further. The Autel Maxidas DS808 is an upgrade from the previous DS708 device. That means the expert technicians at Autel took an already excellent device and gave the customers more advanced features. For less than $800, you can have all the tools you need to reset and customize your vehicle with a professional level auto scan tool. This device comes loaded with features with an easy-to-navigate framework that makes it easy for any user. If you are a professional mechanic looking for a budget-friendly, professional-grade tool, you have found the one you have been looking for.